The Sans Soucis Aqua Clear Skin Spot Off Anti-Blemish Stick was given to me by someone as a gift. After testing it a few times I wanted to share my experiences with you. 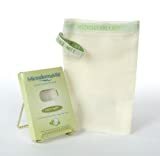 The manufacturer promises immediate aid for impure skin and redness. After directly applying the fluid on your blemish right before going to sleep the pimple fades away rather fast. Of course this promise made me curious if it really worked. I checked out the ingredients list and noticed that the product works against blemishes with chamomile and calendula extracts. It is well-known that these agents can soothe the skin and have an antibacterial effect. They cleanse the skin, normalize the excess sebum production and let blemishes fade away faster. The packaging is designed in white with blue and turquoise writing. It looks plain, but the simple design makes it really appealing in my opinion. This design conveys more of a sterile image, which gives me a very good impression and therefore makes it even more interesting. Inside you can find the package insert and a flask with the product itself. The insert contains information written in more detail of what was already mentioned on the side of the box. You can find the same information written on the flask as well. The bottle is brown and slightly see-through. The writing is in white and turquoise as well. The lid is also white. You can just open the lid via turning. Attached to the lid is a little brush which makes it easy to apply. Even though the brush is rather broad you can still precisely apply the liquid on your reddened skin, blemishes or other impurities. The liquid is white and also stays white even when it dries up. In my case the liquid was completely absorbed by my skin after a few hours. I never wake up with any white spots on my face the next day. But even if I had any white spots I could easily wash them off with water. If you ever get a drop on your clothes you need to directly wash them out, otherwise it will stain! 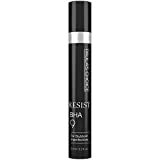 1 Paula's Choice Resist BHA 9 Spot Treatment with 9% Salicylic Acid for Stubborn Imperfections - All... 101 Reviews $43.00 SHOP NOW! 2 Microdermamitt Deep Exfoliating Face Mitt Firming Dry Skin Treatment-Unclog Pores, Repair Wrinkles,... 35 Reviews $29.95 SHOP NOW! 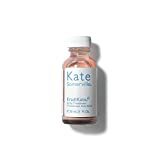 3 Kate Somerville EradiKate Acne Treatment - Sulfur Treatment - Acne Spot Treatment (1 Fl. Oz. US) 245 Reviews $26.00 SHOP NOW! The anti-blemish stick works perfectly for me! After I applied the product on my face’s red spots in the evening they were either less visible or even completely vanished. Pimples stay where they were, but because the redness lessened they do not attract as much attention as before! But there were also things that I didn’t like with this product. There is a marking that shows where the 5ml are filled, but the flask is filled only two third of its size and the rest is air. I also didn’t like the alcoholic smell when I opened the bottle which was there as well as when I applied it on my face. I guess this is a matter of taste though. Also, the product can cause some slight stinging when applying it on damaged skin, but on healthy skin it doesn’t hurt at all. What I like most about this product is that the skin does not dry out as much as it does with other anti-blemish products. It is also said to help against herpes, because it dries the skin in an effective way. The herpes cannot feed on healthy skin, in theory. But I don’t have any proof myself that this works, because I didn’t test it on herpes yet. You can use the product for 24 months after opening the bottle. The anti-blemish liquid is so rich that it makes it difficult to empty it even in this long period of time. So, as a result I can recommend the spot off anti-blemish stick to everyone that tend to impure skin or often have redness, pimples or blackheads. Do you have some experience with Braun Satin Hair 7 ST 710 Glätteisen?